Senior contributing editor Gordon Mott and senior editor Greg Mottola took to the stage to host their seminar, How to Spot a Fake Cuban Cigar. Smoking Cuban cigars can be a wonderful experience. Smoking fake Cuban cigars, however, can be one of the worst. Last year, new laws went into effect that allow U.S. travelers to bring back more Cohibas, Montecristos, Romeo y Julietas and other Cuban cigars into the United States. Not since the Cuban Embargo took effect have the rules been this relaxed, and so more Americans are presumably attempting to get their hands on Cuban cigars. 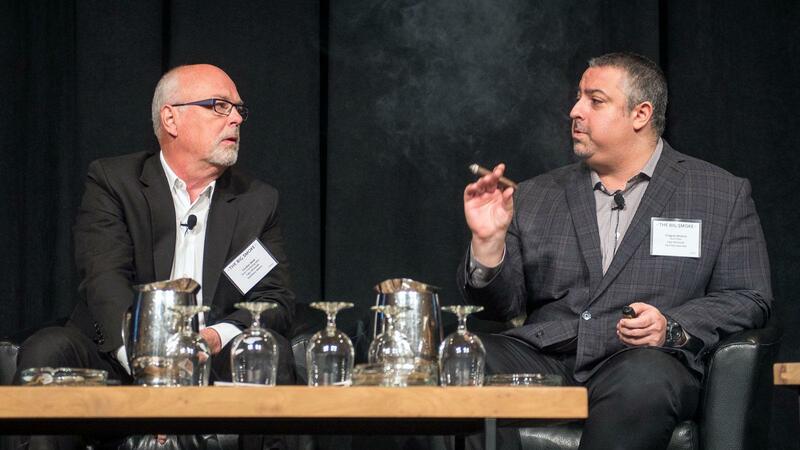 To help anyone looking to avoid the pitfalls of purchasing counterfeit Cubans, senior contributing editor Gordon Mott and senior editor Greg Mottola took to the stage on Saturday morning to host their seminar, How to Spot a Fake Cuban Cigar. The educational seminar revolved around four key maxims: band recognition, understanding packaging, understanding Cuban Limitada releases, and knowing the base prices of common Cubans around the world. Mott began the talk with a sad tale about a man he met at a wedding who was passing out Cubans. The man was passing out Cohibas to all of the guests, and knowing Mott worked at Cigar Aficionado, he asked his opinion. It was then that Mott, reluctantly, relayed the bad news: the cigars were fake. “Whenever someone asks you to point out whether a Cuban may be fake or not, consider the relationship you have with the person,” Mottola advised. His point was some people really want to learn and be told, while others may be offended that you pointed out their poor buying decision. Cohibas, Mottola continued, are “by far” the most counterfeited cigars in the world. Habanos S.A., the Cuban tobacco and cigar monopoly, has recognized this problem and taken many measures to help deter counterfeiters. Mott begins the talk with a sad tale about a man he met at a wedding who was passing out fake Cubans. One of the anti-counterfeiters measures is more complex band design, not only on the core Cohibas but also in the rare Cohiba Behike line. As Mottola pointed out, the Cohiba band has undergone about four or five iterations. While both Mott and Mottola spoke, a presentation of detailed photographs showing close-ups of the Cohiba band played behind the duo. “You’ll see the new Cohiba bands are all embossed and use a shiny, lustrous gold,” Mottola said. “The most important change, though, is the holographic elements that now appear on the bands.” The embossment, as Mottola pointed out, is pronounced enough that one can run his or her fingers over the Cohiba logo and feel the raised lettering. Mottola then moved on to Cohiba Behike packaging. He brought up a photograph that showed a counterfeit box of Cohiba Behikes on the left, and the real one on the right. The one on the left clearly was not the real deal, as it had the incorrect number of white dots, but most importantly, the Habanos stickers directly on the box. A real box of Cohiba Behikes, Mottola said, comes in a cardboard shell that has all of the required Cuban cigar stickers on it, meaning the corner Habanos sash and the “Republica de Cuba” warranty seal that has a barcode. “The Cohiba Behike box, which is painted with a lustrous, piano-black lacquer finish, should never have a sticker on it,” Mottola said. Mott added that the stickers should also be firmly affixed, and are not easy to peel and remove. Additionally, authentic Cohiba Behikes only come in 10-count boxes. “Any other number, and it’s game over,” Mottola said. Moreover, the barcode on the warranty seal isn’t just for show, but yet another tool consumers can use to ensure they purchased authentic Cubans. According to Mottola, a buyer who thinks they may have been had can visit the Habanos Authenticity Check tool online and input the numbers on that barcode. If the product is real, the buyer will see the exact brand and box that appear on their screen. Each year, Habanos releases a certain number of special cigars they call Edición Limitadas. While no one is expected to memorize the entire list, Mottola said, it would be wise to remember some of the more popular brands that have a Limitada version, such as Cohiba, Romeo y Julieta and Partagás. The final series of tips pertained to Cuban cigar prices. The general idea, Mott said, is that if you get a great deal on a Cuban cigar “It’s likely a fake,” he said. This is because real Cubans sold by official La Casa del Habano retail cigar shops have their prices set by Habanos. 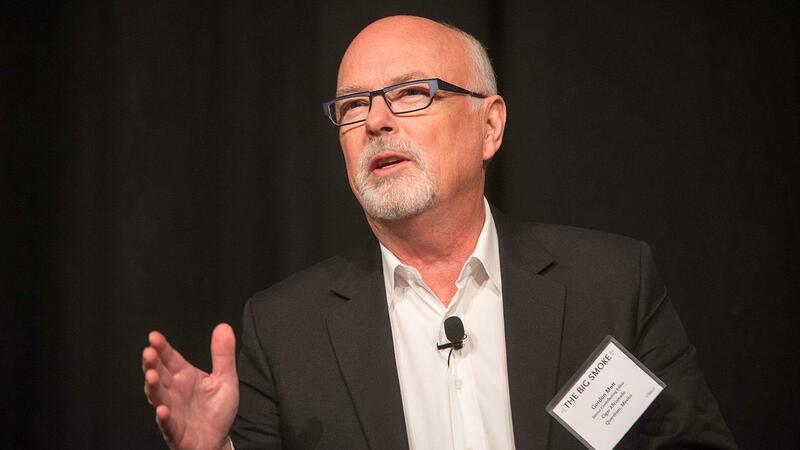 “While you shouldn’t worry about memorizing the prices, it’s important to develop a baseline so that you can better tell if a dealer is trying to sell you a fake or not,” said Mott. 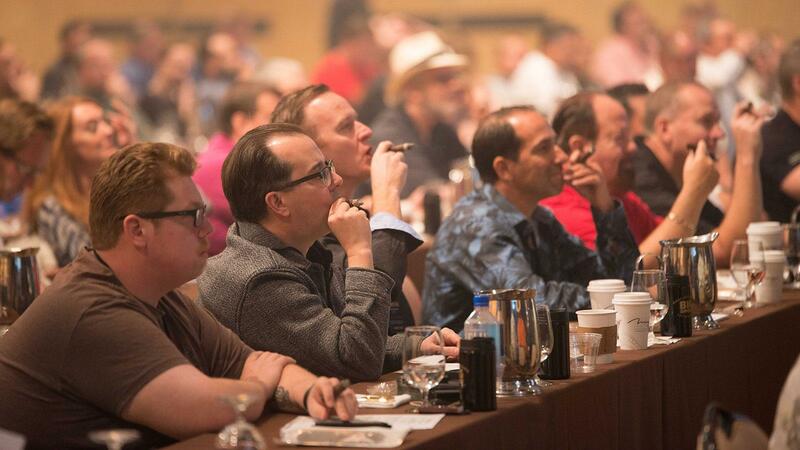 Soon after, the panel ended and the crowd moved on to their third Top 25 cigar tasting, the Andalusian Bull, Cigar Aficionado’s reigning Cigar of the Year.